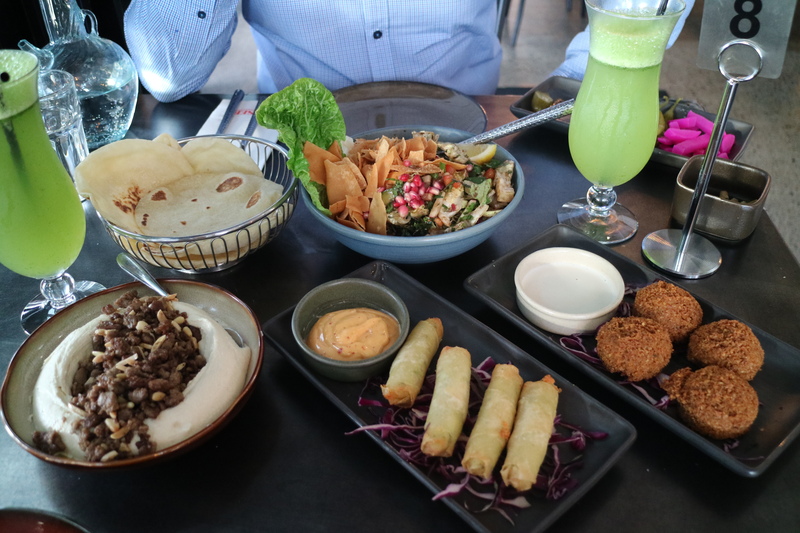 Vanessa: Lebanese food ranks high on both myself and Mr M’s preferred cuisine list and visiting Al Aseel in Alexandria had been on our agenda for a little while. 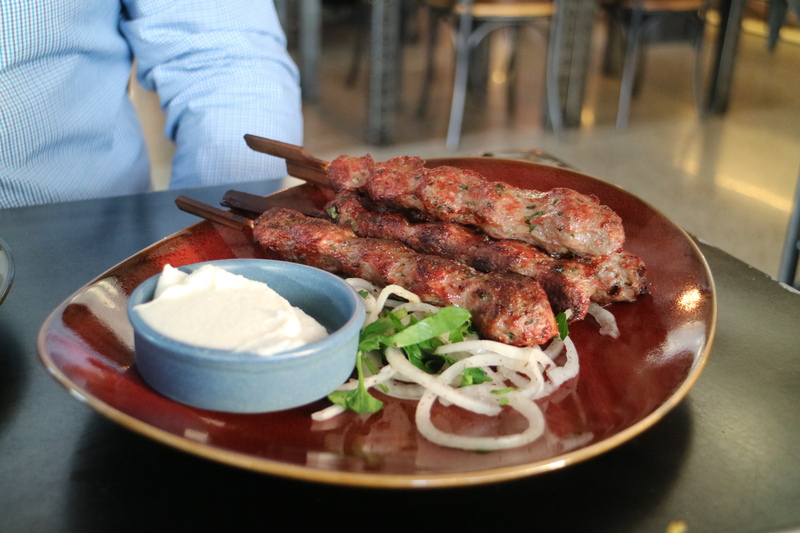 Al Aseel first opened its Greenacre restaurant back in 2012 and now has four venues across Sydney and one in Wollongong. Having heard very good things about the Greenacre restaurant, we were curious to see whether the Alexandria venue would live up to the same standard. We arrived for an early dinner one Friday evening and the restaurant was already starting to fill with people. It is a very large, open space with a modern, opulent feel. There is a large bar that is a key feature of the restaurant and attention has been paid to lighting and decorative features. As we were seated, our waitress set down a plate of vibrant, pickled vegetables for us to enjoy whilst choosing from the menu. The menu offers all the crowd pleasers that you would expect at a Lebanese restaurant and is quite extensive. We sipped on a refreshing mocktail ($8) of fresh lemon juice muddled with ice and mint as we waited for our food. The dishes came out in rather quick succession making us look fairly gluttenous as they were set down on our small table for two! I cannot go past hommus with mince meat and pine nuts ($16) when it’s on the menu. The hommus was creamy and mince was rich and not oily which is can be sometimes. I really loved this dish. However, we did have to ask for bread and we were expecting the usual Lebanese bread to accompany it. What was brought out was more reminiscent of a flat bread or paratha, which was a bit of a shame as it lessened the authenticity of the dish. The Fattoush ($16) salad was fresh and bursting with flavour, which I was thankful for as it’s another favourite of mine. Iceberg lettuce, tomatoes, radish, parsley are drizzled with a pomegranate molasses, fresh lemon juice, olive oil and topped with crispy fried Lebanese bread (the real Lebanese bread!). This is one I definitely recommend. From the hot mezze section of the menu we chose the Ladies Fingers ($10/4) with a mix of three cheeses. The pastry was crispy but overall the cheese filling was very bland which was disappointing as these are usually a crowd pleaser. In contrast the falafel ($9/4) were delicious, cooked perfectly on the inside with a crispy, non-greasy exterior. We finished off the meal with a serve of the kefta meshwee ($18) which was served with garlic dip. 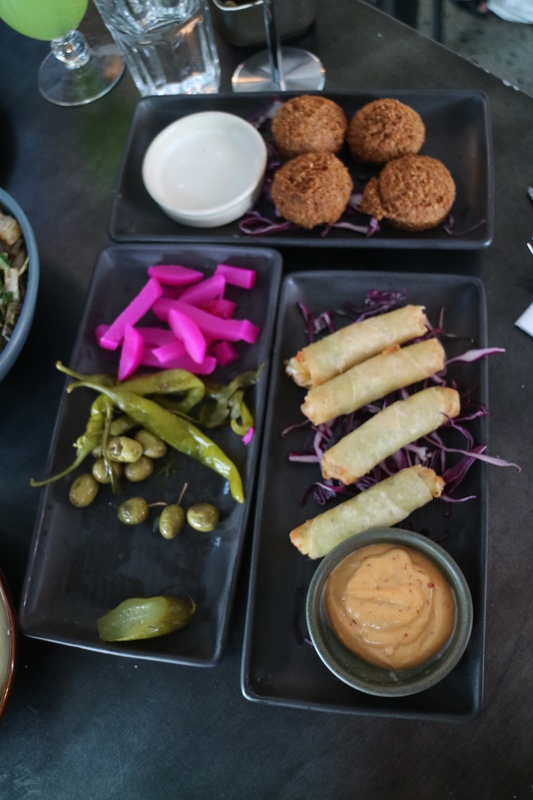 The kefta were succulent and juicy but the garlic dip was very mild and unlike the usual potent garlic that accompanies meat in Lebanese cuisine. We were feeling full and opted to skip dessert. I noticed as we were leaving that they also offer a breakfast menu which I would be curious to go back and try. Overall I found the food to be good, but not amazing and I wonder whether they have toned down the flavours for this inner city location and patrons. Next stop, Al Aseel in Greenacre! You should have tried the lemon garlic chicken. It’s to die for! Also the Greenacre version has affordable mixed platters. Alexandria doesn’t unfortunately so it costs an arm and a leg for what you get compared with Greenacre, Penrith and formerly Newtown (as you can see in a bit of a fan, been to them all – more than once!). Agree about the bread though – again, their other outposts stick with plain old leb bread. Nice review! This place has been on my list for a long time! Need yo visit it soon. Love fattoush! Fattoush is my all time fave salad!